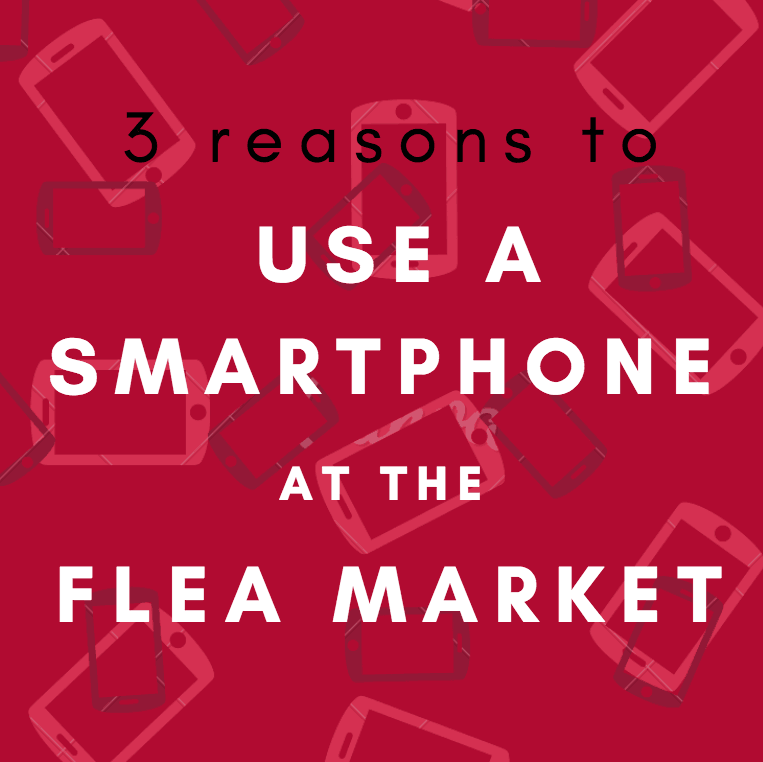 3 reasons to use your smartphone at the flea market 5 out of 5 based on 5 ratings. 5 user reviews. Smartphones are ubiquitous. We carry them wherever we go: at home, at work, at school, on holiday, in the street and public transports. You name it. In fact, unwittingly leaving it at home often creates a feeling of discomfort and triggers the question: “Will I make it today without it? Should I go back home and get it?”. And while some may say that this goes too far, there is no denying that smartphones have made our lives easier – even when it comes to flea market shopping. Smartphones are increasingly powerful, data is faster and cheaper than ever, offering a broader area of coverage, new apps for all kind of use pop up every day, and answers to the most advanced questions can be found on the Internet in a jiffy. With all that in mind, putting a smartphone to contribution on flea market day is just obvious. The use of smartphones for on-the-spot price comparison has given more power to shoppers, in the sense that it empowers potential buyers to make a more thoughtful purchase, based on various elements like the origin, rarity and resell value of a specific item. Of course, inexpensive finds & impulsive purchases are exempted from the constraining (and sometimes, time-consuming) process of doing an on-the-spot research, prior to purchasing a vintage treasure. But if you are looking for something specific, or if the price does not seem right, there’s more than one good reason to use your smartphone on-the-spot, when buying antiques and vintage. Never get fooled by a story, however nice it may sound. Flea market merchants and antique dealers can be great story tellers. Some even believe their own stories, or what they have been told by the former owner of the items they’re trying to sell you. I am not saying they are making things up, but sometimes they tend to embellish the reality. Every weekend I hear stories about how this rare painting might be attributed to a prominent master, that this pen “might” be one of those which have been used to sign this or that treaty, this chair a unique exemplary of an unknown Eames series, or that this set of silver cutlery once belonged to the royal family of “Pottsylvania”. While some of those stories may be the truth, others are just too good to be true. That’s because they often are. 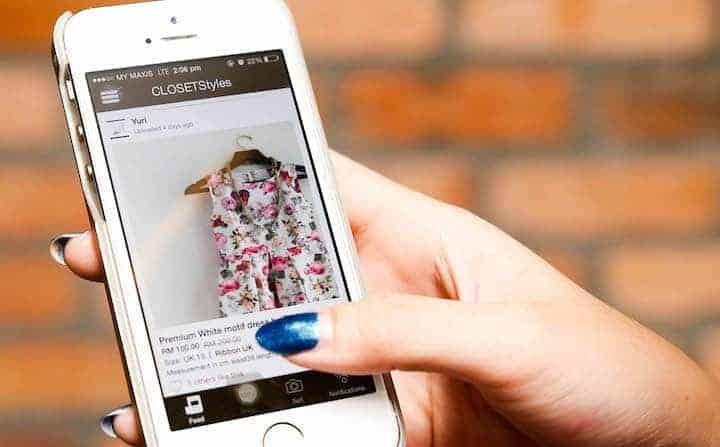 A quick on-the-spot research via your smartphone, to verify a story, should help clear doubts on the origins of a particular item and therefore help you make a more informed purchase. If the search did not return satisfying result and if the doubt persists, just go your way. As we like to say, “The flea-market experience is about finding hidden treasures; the most valuable items are not those that you think will be valuable for resale. The really priceless things are the objects you personally love”. 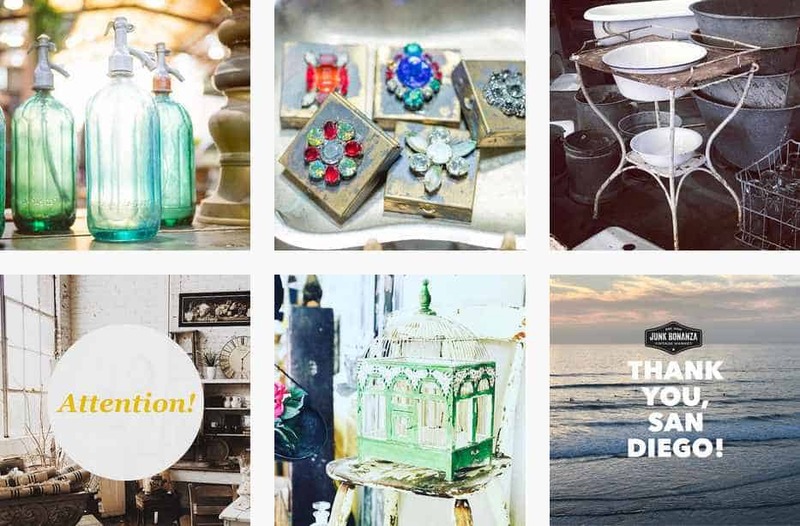 Nonetheless, if you are buying and selling antiques for a living, keeping your flea market finds for yourself won’t pay the bills… While some of us casually shop at the flea market to find one-of-a-kind home decor, many others try to make a living out of it. Websites like eBay, Etsy, or Craigslist are pretty useful when it comes to getting background information about a specific item, like its price or the level of customer demand. Search engines are also great resources to obtain clues to help identify a flea market find. However, they are limited in the sense that they all depend on your own ability to accurately describe the item you have before you. Finding the right keywords is the essence of a successful search. And if you are unable to input the proper search terms, this can turn into a time-consuming nightmare. But, fortunately, apps like CamFind and Google reverse image search, make the whole search process a breeze. 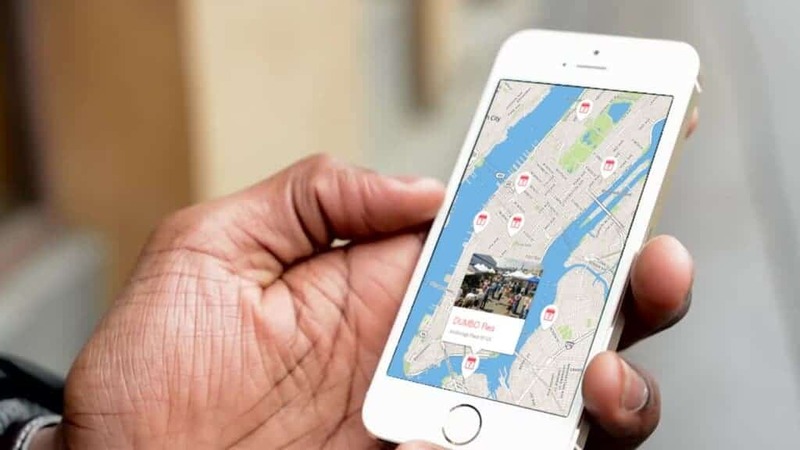 CamFind is an app for iOS and Android that uses your smartphone camera and a visual search algorithm, to tell you what you have before you. Even though we were at first a bit sceptical about what the app claimed it was able to do, we were quickly blown away by its level of accuracy. All the more so as, we, of course, did not try it with modern consumer products, but with a variety of antiques and vintage items we have at the office. Out of 10 tests we conducted, CamFind managed to accurately identify 60% of the items we searched (vintage cameras, desk fan, desk lamp, toy gun, watch, vintage glass bottle, Hohner harmonica, antique apothecary bottle), which is more than fine! Another strength of this app is that it takes less than 4 seconds to process a search and relevant return results – less time than your average Google search. Before the Internet became available to the masses, the main source of knowledge were basically books and magazines. Many diamonds in the rough were sold by merchants who had little idea of what they were selling. Nowadays, almost all merchants know exactly what they are selling, and they know its actual worth (usually slightly above the « online value » ). Nowadays, they even tend to overprice some items, simply because they had seen a similar item once before online with a particularly high price tag. The use of smartphone for on-the-spot price comparison has given shoppers a new weapon to haggle with merchants. Once the origin of a particular item has been verified, its resell value checked, and its rarity (or ordinariness) ascertained, you will definitely have more leverage when it comes to negotiating a final price. Thomas Gray once wrote in his 1742 poem Ode on a Distant Prospect of Eton College: “Where ignorance is bliss, ’tis folly to be wise.” While this may apply to certain things in life, it wouldn’t be wise to follow it when shopping at a flea market. When it comes to haggling, ignorance is NOT bliss. A lack of general knowledge and specific background information will definitely not result in happiness (at least not on the buyer’s side), and might sometimes even end up costing you much more than just looking a little bit like a fool. 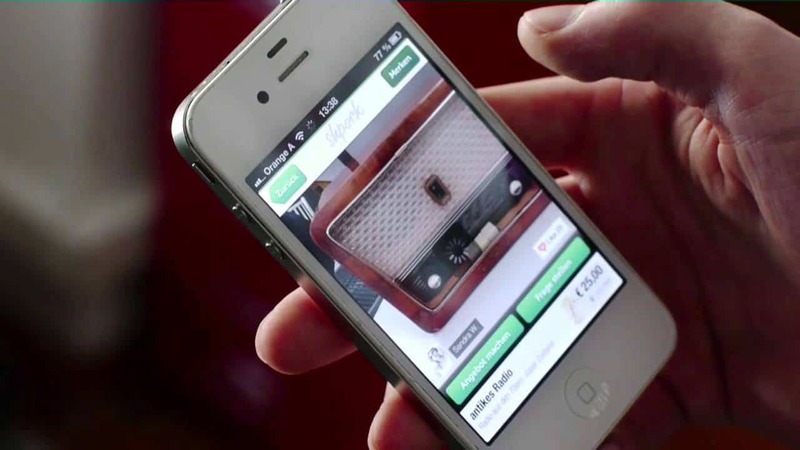 In the end, the use of a smartphone when shopping at the flea market mainly contributes to affirming the status quo, since merchants usually set the price of their items based on their own online research already. For this very reason, it is strongly advised to make full use of the technologies at your disposal in order to help you secure the best deal possible. This is particularly advisable when buying expensive items – or when you just have a gut feeling that something might be wrong. Shopping at the flea market without a smartphone for on-the-spot price comparison is acceptable if you already know what you are buying, if you are shopping for inexpensive knick-knacks, or if you are just doing some casual browsing. 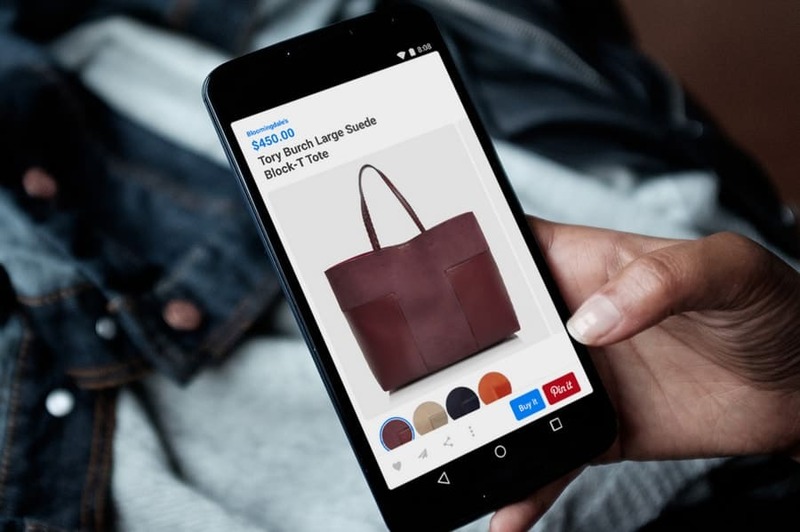 For all the reasons listed above, using a smartphone onsite definitely gives shoppers a competitive advantage over merchants (ultimately helping to drive prices down). If the price of a one of a kind item can hardly be brought down (rarity has a price), the price of an item which has been mass produced can be argued based on its online equivalent. At the same time, Internet has also driven prices up, by giving merchants a tool to help them assess the value of a particular item and sell it at its actual value.